Each crypto project that is currently in existence tends to provide solution to some real-life problems by utilizing the new technology behind it, blockchain. This new approach of storing information by introducing distributed databases in a form of immutable ledger without a single point of failure has recently seen a strong public exposure. New projects are emerging on a daily basis, as are partnerships with major companies in various industries. However, there are some problems that blockchain is facing due to its initial design, mainly due to questionable scalability and high computing power required for keeping the network alive. But there is one major project that sports a completely different backing technology which aims to become a de-facto standard, and the project goes by the name IOTA. In this article, we’ll cover basic information about the IOTA project itself, its technology and core features. We’ll analyse some elementary use cases, compare its backing technology to blockchain and see how one can make use of underlying tokens sold at various exchanges. 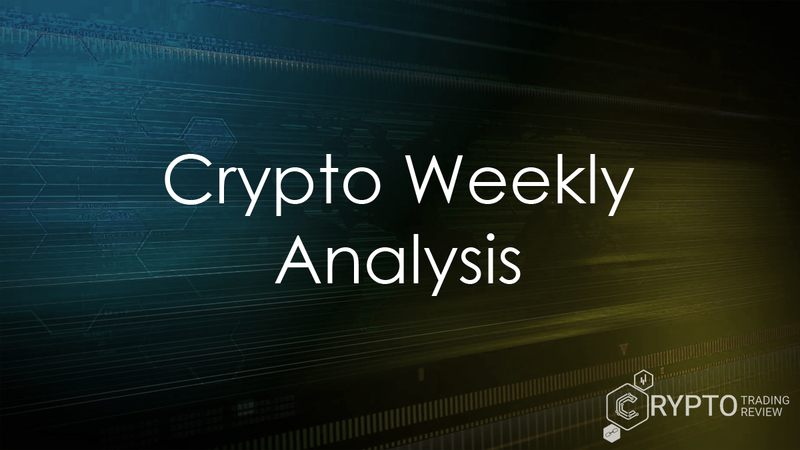 Finally, we’ll go through the lengthy list of major partnerships and try to predict whether the impact of this project might be big enough to revolutionize the market. We have an exciting journey ahead, so join us! 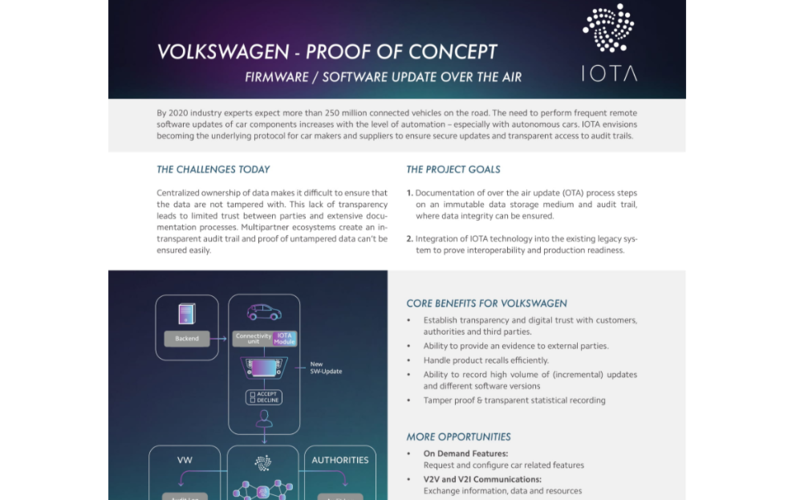 Regardless of the fact that the project’s inception happened less than two years ago, IOTA is one of the most innovative crypto projects in the world. With current total market capitalization surpassing 5 billion dollars, it is firmly placed in the top 10 cryptocurrencies in the world. However, it is not a full-fledged cryptocurrency, nor can we call it a blockchain project. In fact, it is a multi-purpose coin designed for enabling decentralized micro-transaction platform for IoT devices. The abbreviation stands for Internet of things and denotes an interconnected set of various devices that are able to communicate and exchange information between one another. Today, virtually any device can be connected to the internet, meaning that IOTA is aiming at the market expansion that will surely grow exponentially in time, both in terms of available devices and value. However, the whole reason why this project came to existence is a new approach to distributed ledger technology called Tangle. A joint effort of several highly-skilled mathematicians, developers and scientists, this technology is considered as an upgrade to existing blockchain solution, since it theoretically solves problems of scalability and high transaction fees. The whitepaper, containing the mathematical definition of the Tangle was released back in 2015, and a couple of months after the crowd-sale was held. Collecting around 1300 Bitcoins (at the time worth around 350$ each), the team managed to get starting resources. However, thanks to the generosity of early backers and enthusiasts eager to incentivize current and future members of the team, IOTA Foundation was conceived as a German-based non-profit organization. It is a home of all team members working on improving the product and it has experienced a steady growth of members ever since its inception. An open beta for testing the platform was opened in the summer of 2016, and a year after IOTA entered the marketplace on several exchanges. The company has made quite a progress since then, as we’ll see in the coming paragraphs of this article. 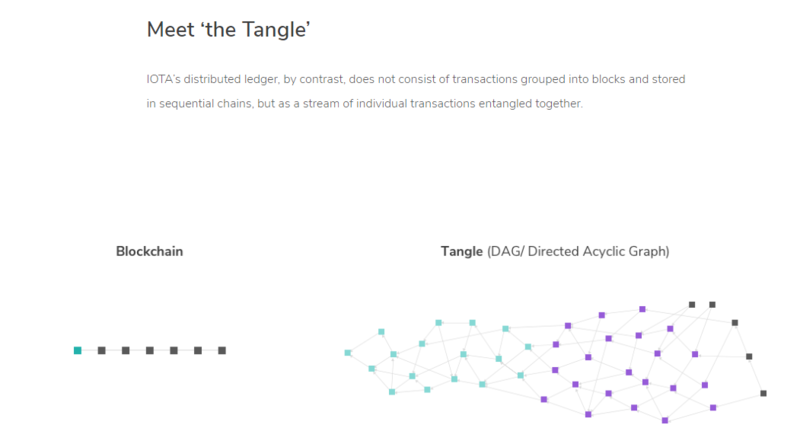 For now, let us dive a bit deeper into the technological background of this project – the Tangle. Stick around and learn everything about this “blockchain killer”! Unlike other popular cryptocurrencies, IOTA is not backed by blockchain of any kind, but rather by a brand-new technology known under the name Tangle. It is actually a variation of a known mathematical object called direct acyclic graph or, shorter, DAG. It is a directed form of graph with the lack of directed cycles, consisted of a finite number of vertices connected by edges. It is also topologically ordered, meaning that its direction goes from the oldest values towards the newest ones. That’s why there is “directed” in its name. Starting at any available vertex, there is no unbroken path that, when followed, leads back to the starting point – that’s why there’s “acyclic” in its name. The programmatic implementation of this exciting new approach is used to create Tangle, which has a series of advantages when compared to Bitcoin’s original blockchain. Two most notable and most important differences are related to structure of data and achieving consensus among network participants – we’ll analyse them right away. First of all, due to the fact that it’s not a blockchain, Tangle is deprived of blocks and a main chain. So, there are no batches of transaction attached to the chain after a certain amount of time passes. Instead, each transaction stands on its own, and contains references to two past transactions. One of these transactions is called branch, and the other one trunk. When a new transaction references to past transactions, those transactions are considered confirmed on the Tangle network. This is where another key difference becomes visible – there are no separation between traders and miners. Instead, by verifying existing pending transactions on the Tangle, each user (a human or any device connected to Tangle) takes a role of a miner. The more new transactions are made, the stronger the network gets. That’s how the consensus of the network is being reached, without the problem of mining power centralization that is currently troubling Bitcoin and other PoW-based cryptocurrencies. Transaction confirmation on the Tangle network consists of three steps. First, new transaction is signed using private key. That’s why, unlike on blockchain where private keys are the only way of accessing funds, Tangle features disposable private keys. Generally, it is encouraged to create a new pair of private and public keys for each transaction connected to the same wallet, which is then accessed with the complex seed of characters. The moment a new transaction is signed, a Markov chain Monte Carlo statistical method uses randomization to find two transactions that will be verified by a new one. Finally, prior to sending a new transaction, a minor proof-of-work is required to prevent spam attacks. It can be easily compared to Hashcash, a system notable for its usage in cryptocurrency mining, spam and DoS attacks prevention. After that, a transaction is sent to the network, and the moment it gets validated by a newer transaction, it’s considered confirmed. That’s pretty much it when it comes to Tangle network, without diving too deep into more technical details. There are some features that IOTA sports that are a direct result of Tangle network. Keep on reading and learn all about them! As we have already mentioned, Tangle network has enabled IOTA to have some features that might surpass traditional blockchain-based cryptocurrencies in the near future. However, there is still a long road ahead for this project before it reaches mainstream adoption. But for now, let’s take a look what IOTA can bring to its users. Due to the nature of Tangle network and the absence of miners who collect the so-called transaction fee for their effort, there are no transaction fees here. Yes, that’s true – with Tangle, any amount of coins can be sent without paying a single dime for it. All existing coins have been made with the first, Genesis block in the Tangle network – meaning that the total of 2779530283277761 tokens will never change. IOTA uses trinary system for calculations and transactions, and we should emphasize that all relevant prices of tokens are actually shown in millions of tokens. For instance, price on majority of exchanges is the price for a million of IOTA tokens, meaning that you can send just a fraction of a dollar with this network, without any fees whatsoever. This is what makes its main feature – powering the IoT ecosystem – possible, but more about it later on. By design, IOTA is infinitely scalable, depending solely on the number of active users on the network. This is a complete opposite to blockchains, since the growing number of users might provide as a bottleneck to the network’s stability and responsiveness. This is visible mainly with the increased verification time on the network, as experienced with Bitcoin in December of last year. With IOTA, however, each new transaction is added to the network after it approves two existing transactions. This means that increasing the number of new transactions increases the number of transactions that can be verified on the network in the same time span. Also, there are some other features, such as fixed token supply that prevents increase of inflation, ability to cast immutable votes and exchange data in a form of messages, decentralization, true P2P protocol and such. Another unique feature we must mention here is the ability to conduct offline transactions. Because transactions are not sorted by time stamp in the Tangle, a portion of it can become detached and act as a stand-alone Tangle. Transactions can take place in this branch, and once all participating parties are reconnected to the main Tangle, all transactions from the separated branch are confirmed on the main network. This ability to detach and re-attach parts of Tangle is one of the key features for enabling IoT microtransactions. Interested in hearing something more about IOTA’s main purpose? Read on and see how it aims to disrupt this new industry! The main focus of the project is to develop an ecosystem for an emerging machine-to-machine data transfer and transactions, as a part of Internet of Things (IoT) revolution. It is designed as a backbone for the upcoming machine economy, where various appliances and devices will be connected to broadband Internet and able to communicate with each other. Before IOTA, there wasn’t a scalable and decentralized solution in existence that provided the ability to create microtransactions without any additional fees. 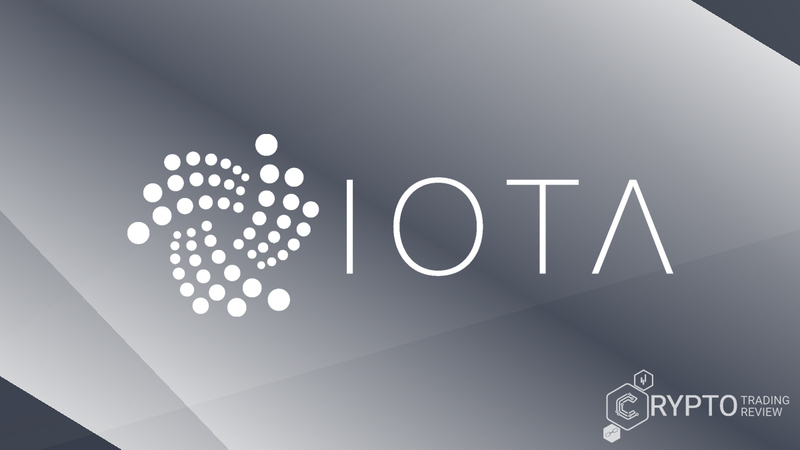 Now, thanks to the Tangle network, feeless transactions have become real, and developers can use several official programming libraries to incorporate IOTA protocol into their devices. Apart from conducting transactions of value, IOTA network can be used to transfer data as well, of virtually any kind. It can serve as a ledger for banks, logistic companies and customs. It can also store identity information and insurance data, provide pay-per-byte Internet connection to other devices and much more. Key focus points for the project are in smart cities, infrastructures such as smart power grids, mobility and energy distribution, along with money transfer between human users. There is also a feature of broadcasting encrypted chunks of information to the network, called masked messages. This enables various sensors to pick up and share data in real time using Tangle network, and other connected devices can pick up this data and analyse it. For instance, smart cities can operate solely using Tangle network, combining features such as smart parking, smart cars, smart public transport with various sensor devices, drones for deliveries, etc. Today, more and more devices are becoming “smart”, with integrated chips and circuits that enable them to perform tasks that were previously impossible. Furthermore, everything is connected to the Internet today – computers, mobile phones, watches, TVs, cars, planes, drones, even your household appliances. Internet of things is already here, and IOTA is the number one player when it comes to building a platform for all these things to communicate. With the growing list of devices that support IoT protocols, which also feature advantages of both blockchain and DAG, this protocol might become a standard for upcoming IoT revolution. Now you know what made its founder create this ground-breaking project. In under 2 years, IOTA managed to make a huge impact on the crypto market, attracting some major global companies and forming partnerships with leaders in several worldwide industries. We’ll talk about them additionally in a bit, but now, let’s see how you can obtain coins and keep them safe in a wallet. Read on! Unfortunately, one of the things that IOTA team can’t be too proud about are available wallets, especially ease of their usage. Currently, users can choose among three official wallets, with community developers working on several implementations as well. Setting up a full node wallet or IRI (abbreviation for IOTA reference implementation) isn’t cumbersome at all, but you’ll have to follow tutorial if you don’t have any programming knowledge. It has a graphic user interface, but you can use command line for controlling it as well. Headless node is pretty much a full node without installed GUI, but it can be accessed via web browser GUI called Nostalgia. The functionality and requirements are the same as with the full node, with the exception that headless node allows you to generate multiple seeds at once. Finally, light GUI wallet connects to a remote full node and has the basic send/receive functionality, as well as check current balance. It’s important to emphasize that reusing addresses on Tangle is strongly discouraged, and it might result in loss of funds. Therefore, you should always generate new address for each transaction. Most popular exchanges that support trading IOTA are Bitfinex, Binance, Coinone and OKEx. Trading pairs include USD, ETH, BTC and USDT (Tether). Now that you know how to get and store coins, let’s see some prominent partnerships that IOTA managed to form. Keep reading! In the last couple of months of 2017, IOTA gained widespread fame and recognition due to the increasing problem of electricity consumed for keeping networks of major cryptocurrencies alive. This is mainly connected to the major issues regarding distribution of mining power between Bitcoin and its August fork, Bitcoin Cash. That’s when the concept of DAG came under the spotlight due to its more than obvious advantages that solve two major blockchain issues – hunger for electric power and limited scalability. In the second half of December, due to the massive boom of market capitalization, IOTA experienced its all-time high, peaking at 5.69 $ per coin. This was a growth of over 700% in a matter of month and now, after the mainstream euphoria around cryptos settled down, its price has stabilized at around 2 $. However, due to the growing list of partnerships, the overall market capitalization of this project will surely get to the right track in the coming months. Through its official blog, core team communicates regularly with the enthusiastic followers of the project, often updating them with news and progress on current development tasks. If you roam around there, you’ll quickly notice that the majority of those are about announcing new partnerships with various companies. Indeed, the list of official partnerships is definitely huge, especially considering the fact that IOTA has been around for less than 3 years. 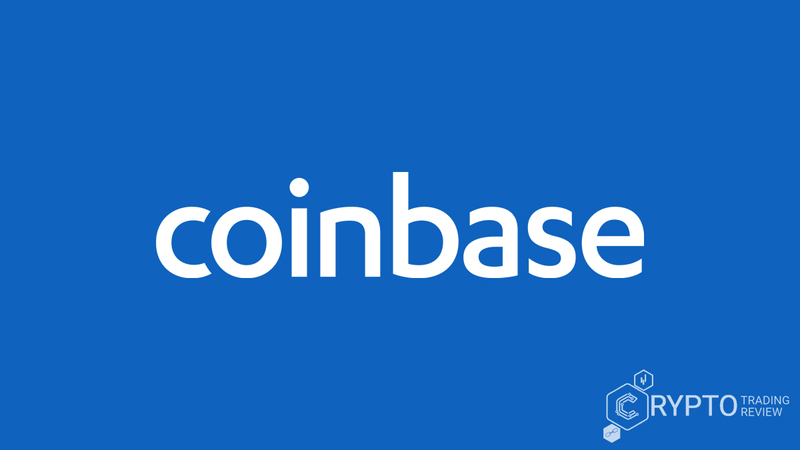 There have been official releases stating partnerships with technological giants such as Microsoft, Bosch, Volkswagen, and Ubuntu among others. The Foundation itself has been chosen by the Taipei municipality to build the basis for the Smart City project of interconnected devices, and it was selected to the Metropolitan Government Program of Tokyo. It is also considered as a fundamental technology for creating Sweden’s official national cryptocurrency. IOTA is a vital part of Azure, a blockchain-as-a-service subproject developed by Microsoft, and there are also indications that the two companies are working closely on research of quantum computation. There is also a pioneering project called Data Marketplace, joining together many prominent companies in order to test the possibilities of IOTA network in terms of conducting data and monetary transactions between various devices. Apart from those previously mentioned, the list of involved companies includes Samsung, Cisco, Accenture Labs, Orange and Deutsche Telekom. The company also has connections with many major educational institutions and medical research facilities, with existing products build atop its technology including Modum and Oyster Pearl. And the list just goes on and on. As you can clearly see, the time of true adoption of cryptocurrencies is still not here. However, IoT economy is taking its toll, with predictions stating that by 2020, over 2 billion devices will be connected to the internet. IOTA wants to place itself as a standard technology for facilitating microtransactions between these devices, and judging by the current status, its vision just might come to fruition very soon. That being said, we believe that now is the time to bring our extensive review to its end. 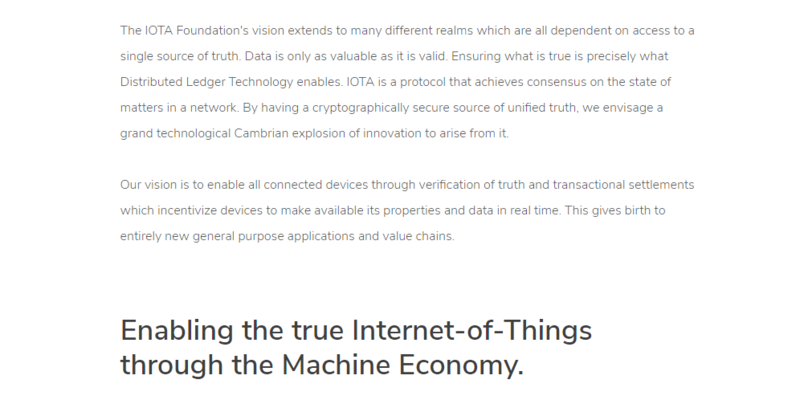 Based on all the facts and information mentioned in this review, we can clearly state that IOTA is the ultimate leader in cryptocurrency space when it comes to creating ideal IoT ecosystem. Tangle as the underlying technology denotes a significant breakthrough which, if devised and implemented correctly, might overtake blockchain due to its unique advantages and modular design. Although primarily created with IoT in mind, IOTA can be implemented in all cases where an immutable, secure-by-design and scalable ledger of transactions is needed. However, the whole network is still in beta, with a human coordinator helping the Tangle maintain its functions and with somewhat weird and buggy wallets as only options for end users. This will surely change soon enough, as the strong development community constantly strives to enhance the network and its underlying products. That being said, it is wise to expect a significant increase in the value of the project over time. Regardless if you are a crypto newbie or a somewhat experienced trader, IOTA will surely be a sound investment, regardless if you plan to day trade or simply hold your coins for a longer period. Of course, we strongly suggest you do your own research prior to actually investing your funds. Our website is the perfect place for that.